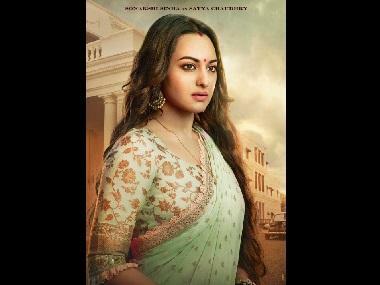 If you were to pick the five most popular tracks on a Bollywood hits chart, it’s likely that at least three of those songs will have playback rendered by Arijit Singh. The singer’s rise has been unparalleled since 2013, when the Aditya Roy Kapur-Shraddha Kapoor-starrer Aashiqui 2 released. His song 'Tum Hi Ho' was a chartbuster, and a gamechanger for not just the musician himself, but also the film, the production house, and the music label. It is rather a feat to catch media-shy Arijit for a conversation; he's not seen in public gatherings, social functions except for award ceremonies. Speaking about his inaccessibility, he says, "I personally feel that I am not that good at media interactions as I enjoy a silent and quiet life away from fame. It’s the way I have always been and therefore I try to refrain from speaking to the press. It is also because I don’t like being called a celebrity but lately, the growth of social media has been such that it has become difficult." In most of his stage shows and as per his colleagues’ testimonies, Arijit comes across as a generous person who still prefers to be grounded and bereft of any starry aura. "I think the words star and celebrity are created and are usually a state of mind rather than an actual thing. More recently, these words are gaining more importance, especially in this industry and show business. This, like any other business is a place where creative people come together to make movies or music," says Arijit. Arijit first came into the limelight when he participated in the 2005 reality show Fame Gurukul that had Javed Akhtar, Shankar Mahadevan and KK as judges with Ila Arun heading the faculty. Although Arijit didn't win the show, after all these years he seems to be the only contestant who is relevant. Bollywood's musicscape has always been more about diverse voices, styles — as far as the male playback singers are concerned. Yes, Lata Mangeshkar, Asha Bhosle did made up for all the female singing over the years. But male playback singers like Kishore Kumar, Mohd Rafi, Manna Dey, Mukesh, and then later Udit Narayan, Sonu Nigam, Kumar Sanu — all have made their mark in Bollywood for their distinct style of singing. And then came Arijit, who has sort of taken over all possible genres of singing: Ghazals, party, classical-based, romantic, folk-based, multiple Indian languages, etc. The consensus is that Arijit is a versatile, complete singer. Hence, no wonder, with his arrival, Arijit completely swept over the likes of singers like Shaan, Mohit Chauhan, Atif Aslam, to name a few. Such is the state that many contemporaries of Arijit also sound like him. Whether it is their natural tone or industry demands is an altogether different subject of discussion. Nonetheless, Arijit denies any such effect and says, "I don’t think that I have created any monopoly over Bollywood music. There are so many other singers who are doing exceptionally well. Nor do I think that there’s anyone trying to sound like me and even if they do that might be unintentionally. It’s definitely not Arijit effect." Before his stint this successful playback singer, Arijit worked as assistant to popular music director Pritam. He considers that experience significant in shaping his musical career. "Working with Pritam da was an amazing experience. I learnt about good music, programming, skills that are required to work in this industry and got to know so many other artists. The exposure really helped me in the long run." 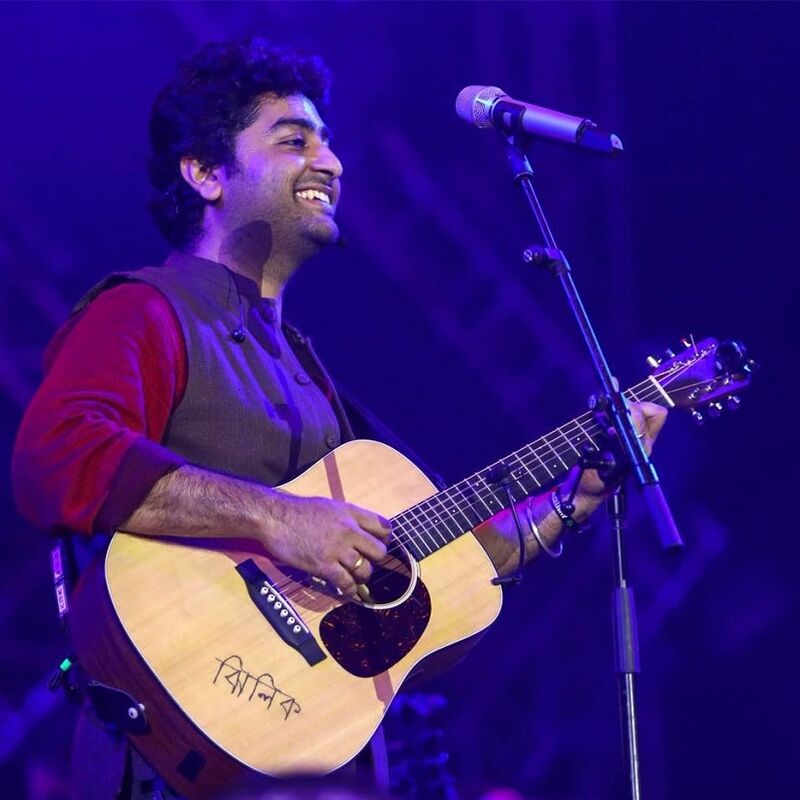 Like many, Arijit too found his idols in the realm of Bollywood musicians. He says, "In the popular music scenario I love Kishore Kumar and Lata Mangeshkar. In more recent times I’ve loved Jagjit Singh, Sonu Nigam — they are my idols. AR Rahman, Pritam Chakraborty are my all-time favourites. I love their music and adore the work that they all have done in the industry." As far as his contemporary singers are concerned he enjoys a cordial working relationship with the likes of Aditi Singh Sharma, Shefali Alvares, Tulsi Kumar, Sunidhi Chauhan, Harshdeep Kaur. He says, "All the female playback singers are doing well and are all working hard and it’s amazing to work with them." Being at the forefront of Bollywood music in the recent times, it was necessary to take the singer's opinion on the often contested, debated state of music in today's times. The singer, rather diplomatically, takes shelter in the canopy of subjectivity. He says, "The state of Indian filmy music from a listener’s perspective and people who enjoy Bollywood music is actually good. There are so many songs which are breaking records and fans are loving them. Whereas the quality is concerned it is completely subjective, as far as the audience is enjoying the music, it is a great music." When one reaches the top (which again could be subjective) of one's game, they enjoy the privilege of choosing; they no longer do what they are given, but do what they want to. 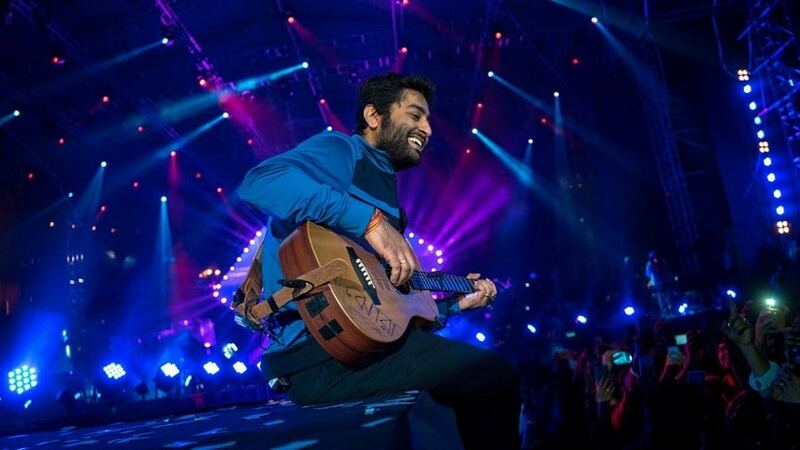 Arijit focusses on good and new music and nothing else when it comes to selecting his songs. He explains, "There are many deciding aspects like genre, lyrics, other musicians involved in it etc... Once you are at a position where it’s important to focus on good music then it doesn’t matter what monetary value is involved in it. I am always willing to be a part of projects that are new and different and helps me learn unexplored music." Arijit is one of those musicians today who record a plenty of songs in the studio and at the same time marks his presence in numerous live concerts, both in India and abroad. How does he manage this balance? He says, "I don’t know why but I get this asked quite often. There isn’t any balance required, shows have pre-fixed dates and my team manages my calendar and I work around that." While now he does comfortably sail through a song recording, it was initially tough for him especially when in-studio recording and other concepts were new to him. Is there anything that he thinks he still needs to explore musically? Pat comes his reply: "I’m still thinking about that. I’ll have to practice because I haven’t tried a couple of genres I want to try. I think I’ll need at least three to four years to get into that genre and sound real and stay true to the genre." From seeing others as idols to being one hell of an idol himself, Arijit has made a long journey. However, his mantra for all the budding musicians today remains: "Passion, hard work and dedication." The singer has been extensively touring across nine cities in India over nine weekends as part of the Royal Stag Mega Music Arijit Singh MTV India Tour Powered by Fortune Biryani Special, a concert series produced by Wizcraft. Touted to be one of the biggest tours of all time, Arijit commenced his first-ever India Tour in Kolkata followed with concerts in major cities such as Gurgaon, Ahmedabad, Hyderabad, Indore, Mumbai and Raipur right up till March 2018.